Ovens aren’t just used for cooking. They are also a good source of heat. Winter has been brutal. With the constant back-to-back wind chill advisories and the blizzard warnings among other wintery things, the bills increase just as much as the thermostat does. If you are one of the lucky ones who do not have to pay for heat, then most likely the circulation of heat is bad, and you are seeing your breath within your apartment. As a college student, everyone is about finding “life hacks” and keeping everything on the cheaper side of things. Now, there are some ways to make your life a little bit warmer, so try some of these tactics in your apartment or dorm room. When living in a cold dorm room or apartment, you need the essential at home clothing, which consists of thick sweatpants and an oversized hoodie (like three sizes too big). With thick sweatpants, you most likely will not need anything underneath, but if they are bulky, a nice pair of shorts or leggings will do the trick. With an oversized hoodie, anything can go underneath, and you will still be feeling cozy. Blocking the cold air and keeping it outside is one of the most important and beneficial things to do in the winter. If you cannot afford heat, the cheapest and best life hack is to utilize what you have. Gather blankets, sheets and towels to cover the windows. Cover them from top to bottom in layers, just in case a blanket is too thin. Use duct tape to keep it up, and you will be warm in no time. It may not look pretty, but it will be worth it. You now have a reason to use the stove and oven. Cooking your own food is not only delicious, it will also keep you warm by heating your apartment. Crack open the oven door to give off some extra heat. 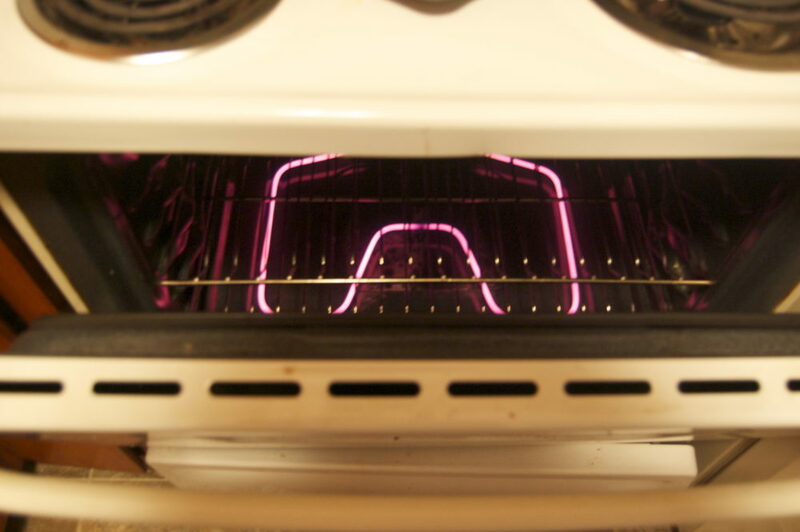 If you are really desperate to circulate it, put a fan by the oven and push it out faster. When bundling up, most forget their feet. Because you’re home, you kick off your shoes and relax, but this will make you colder. Thick socks or slippers are now your best friends. Warmer feet will make you feel warmer faster. If you’re not afraid of any privacy violation or live by yourself, open the bathroom door when showering. It may make the shower a little chillier, but it will move the heat into the other rooms, so you can step out into a warmer apartment. The hairdryer can be used in many ways other than just drying your hair. If you wake up and your clothes are freezing, blow dry them and they will no longer be cold. If your bed is too cold to get into, put the hair dryer underneath the blanket for a minute or two and your bed will be like a nice warm sauna when you finally get in. If you just got in from the blizzard outside and need immediate de-thawing, the hairdryer will do the trick. There are many ways the hairdryer can help you stay warm throughout the winter, so keep it available for emergencies. *Never leave an oven or a hair dryer unattended —- they can become a fire hazard (a fire might sound nice and cozy until everyone is stuck outside in the cold waiting for firefighters to put out your fire. Don’t be that guy).